We are brothers and sisters, citizens of the Red Mountain. We are children of the Americas, born again in another world. We are comrades in arms, waging a revolution of heart and soul. We are the fathers and mothers of a new era, a time of virtue. We are the future. Join us, and liberate yourself. 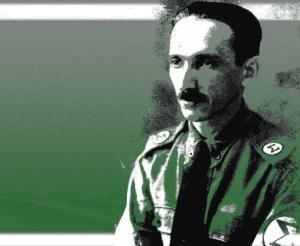 "The Integralist is a soldier of God and Homeland, a new man, who will build a great nation." There once lived a man, a man known as Plínio Salgado. A man of many thoughts. Thoughts about the future, about the necessity of revolution. He saw human history as the eternal struggle of the human spirit against the laws of nature, with man torn between materialism and spirituality. The only possible end to this conflict: An internal revolution, a revolution of the self, one which unites all races and all peoples of the nation under a shared spiritual identity. He and the movement he founded tried to bring about this radical transformation, and forge a society built on strong social values and spiritual harmony, an economy not based on selfishness and greed, and a culture faithfully devoted to the Homeland, to the Family, to the People, and to God. But he was betrayed. 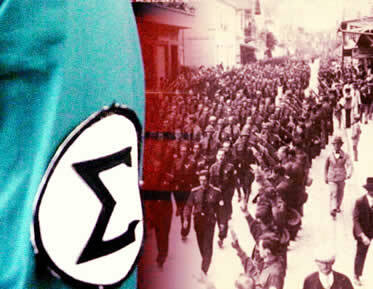 Stabbed in the back, by the Capitalists and the Communists, forces joined together out of fear for the coming future. With his defeat came decade upon decade of decadent rulers, harsh men with harsh regimes. As the centuries passed, not only the country Salgado had tried to save, but every single country on the American continent, was lost bit by bit. And so our peoples came to the Red Planet, to find a new Homeland, and build a new nation to call our own. But we were betrayed, and once more the Capitalist yoke of ruler acting as the puppets of foreign interests took our Mandate from us. Now, the Capitalists are gone, thrown out by Pai Campos and the grandchildren of Avô Salgado. All is not well, however. The sibling of Capitalism, Communism, a twisted ideology which seeks only the destruction of our moral fabric, the collapse of our unity, and the end of our freedom. No less a slave to foreign interests than Capitalism, Communism tries only to make the Red Mountain bend its knee to the tyrants of New Cumaná, and those puppeteers who rule them from behind the curtains in turn. "La Raza Cósmica" is a lie, spewed forward by people who spit upon the memory of the great Vasconcelos. Our future lays not with the "Bronze Nation", for true unity of the American peoples can only come through the revolution of the self, not the dictatorship of the proletariat. The Directorate is the only way forward. It is time to fight, to fight as soldiers of God and Homeland. Salgado lives again, friends and comrades, do not disappoint him! For the past few cycles, we have seen a rejuvination of Roman Catholic activism within our community here in Montanha Vermelha. I, as a servant of God, was initially pleased to witness an increase in openly displayed piety in these times of hardship. Poverty, corruption, disenfranchisement, and the constant fear of the desert marauders. We all need a guiding light in our lives, to help us through our daily struggles. Embracing the love of God, and acting to spread His compassion to your fellow man, can be such a light. Gradually however, I grew concerned. I read the pamphlets handed to me in the streets, by men with angelic wings tattooed on their backs. I listened keenly to the messages broadcasted online, by enthusiastic lay preachers. And I spoke to the youths of my parish, hearing them speak about their troubles, their successes, their worries, their ideals, their dreams. And above all, about liberation. And I started worrying. And now, we have reached the logical climax of the situation. The Red Mountain is aflame. As of today, there are - conservatively speaking - roughly twelve hundred militants in our city, local youths turned to violence. No estimate yet exists on how many outsiders have joined them, taking up arms for a foreign cause. Now we must ask ourselves, who are these La Raza Cósmica who have proclaimed a Nación de Bronce? Are they, I ask, to put it simply, good Christians? They are, sufficient to say, revolutionaries. A motley crew of people of all race, come together under a wide range of banners, with serious ideological baggage. It is no longer good old "Che" that the self-defined freedom fighters of Latin America idolize, the perceived forerunners are far more diverse. They wear the brown berets of the Chicano Movement, the by far least nefarious of predecessors. They take their name from José Vasconcelos, far from the best Christian, but still a good man. Others are far less pleasant. For example, they call themselves Bolivarians, and praise Hugo Chávez. Chávez, who once said that "Jesus is with the Revolution", not only cheated on his wife, divorced his wife, rejected he existence of Heaven and Hell, favoured Darwinistic evolutionary thought, tried to remove religious education, and worshipped a pagan, heretical idol - "María Lionza". Not a role model I would encourage. The overall ideology of this movement is known as "Liberation Theology". What is Liberation Theology? It is, quite frankly, heresy. It rejects the authority of the Church, favouring Marxism over the Papacy, spitting upon the Bishop of Rome. The great Pope Benedict XVI was a critic of the ideology, showing in his critique the inherent rejection of true Roman Catholic theology it consists of. He also highlighted some of its inherent problems beyond the purely religious aspects - that it was not originally a "grass-roots" movement among the poor of Latin America, but rather, a creation of Western intellectuals. Cultural imperialism. Do these modern-day Martian revolutionaries even follow the principles of Liberation Theology, I wonder? The Bible says: You shall not kill. One of the fundamentals, a basic tenet that Pope Benedict XVI praises the ideology for, was the rejection of violence espoused by Liberation Theology. Yet the Liberation Theology we see today, it embraces violence to the fullest, and not in the purpose of self-defence. In Clearwater City, we have witnessed a spate of bombings. They have yet to claim lives, but soon they will. Here in Montanha Vermelha, there is a high chance that they were behind the bombing of the Russian-owned factory, claiming the lives of innocent workers. Elsewhere, the followers of the demagogue "Secretary General" of Nueva Cumaná murder and pillage. This movement is not alone in its actions - it is part of the "Greater Movement" alliance, closely aligned - some would say dominated by - the Nightingale Society. The finest iconoclasts there are. Cutthroats and killers, with no compassion, no humanity, who worships devils of the past - men like Buenaventura Durruti, a commander of the CNT-FAI, a movement which enacted red terror in Spain. They murdered tens of thousands of good Catholics, they burned churches and smashed icons, they hunted down each and every clergyman they could find. That is exactly the future which "al-Malika" tries to enforce, with the Liberation Theologists as their loyal pawn. And let's not even speak of the Greater Movement's support for abortion, sexual deviancy, the obliteration of the family, and so on. No, children of the Red Mountain, do not fall for the thought of red liberation, for it is a poorly considered thought. I do not condemn those of you who wish to fight, to fight for a better future, but please - do not fool yourself that you have chosen the side of the righteous. For if you march under the red banner, you march under the banner of sin.